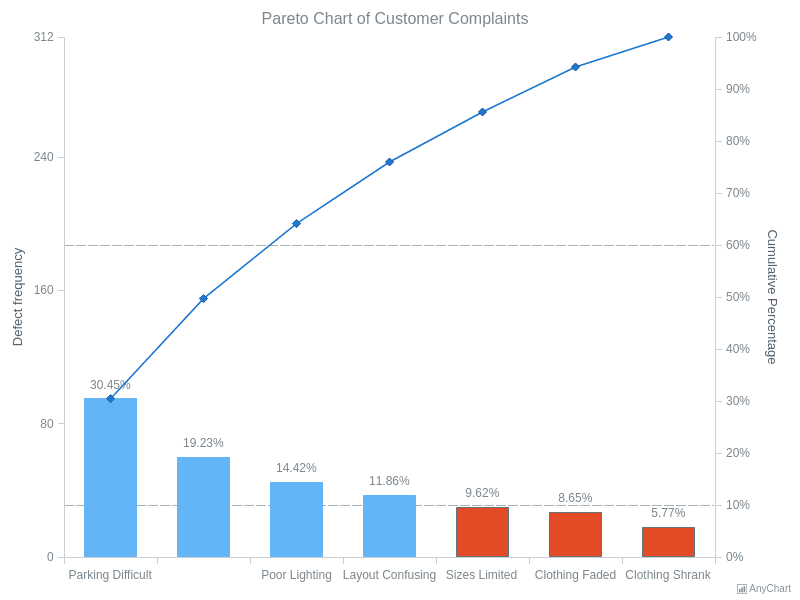 Pareto Chart of Customer ComplaintsCustomer Complaints Pareto Chart. 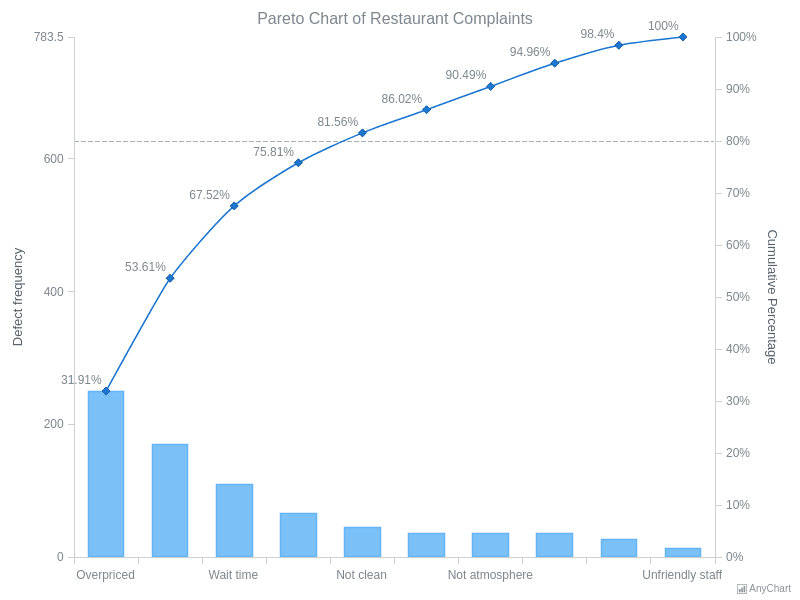 Pareto Chart of Restaurant ComplaintsRestaurant Complaints Pareto Chart. 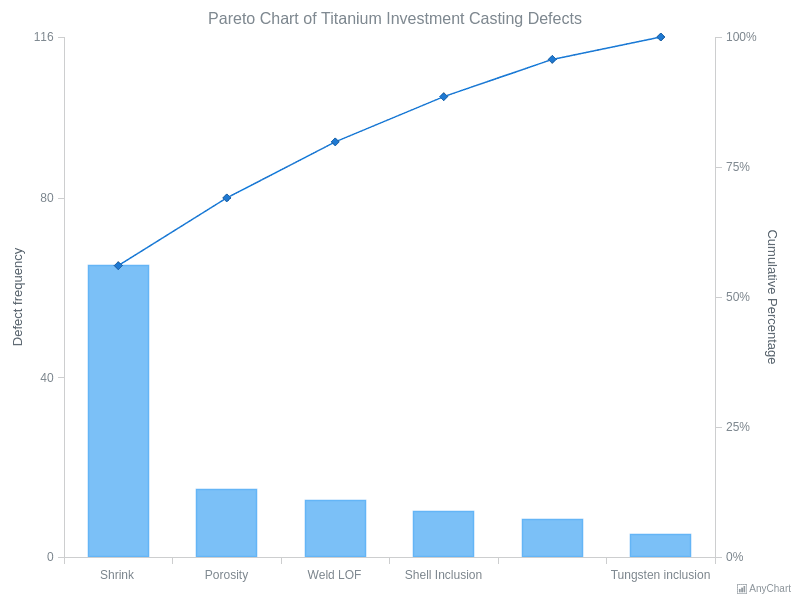 Pareto Chart of Titanium Investment Casting DefectsTitanium investment casting defects Pareto Chart.